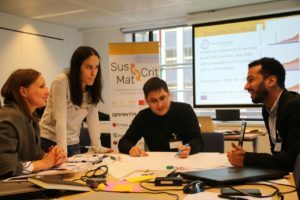 On November 16, SusCritMat held a Short course on Cobalt in the framework of the Raw Materials Week in Brussels. The format was a mix of lectures and group work. 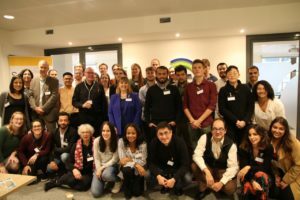 Teachers included Dr. Dominique Guyonnet from BRGM, Prof. Ester van der Voet from Leiden University, Prof. David Peck from TU Delft, and other SusCritMat Consortium members and guests. 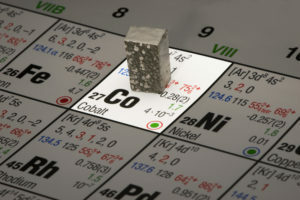 After being given an introduction into criticality assessment by Dr. Guyonnet, participants calculated the concentration of cobalt by country and assessed its economic importance. As Prof. Peck showed, demand and supply of cobalt are not just driven by economic and technological changes, but also geopolitical aspects: Given the concentration of global cobalt reserves mostly in the Democratic Republic of Congo, its exploitation is not only linked to human rights abuses, but is also susceptible to changes in the political landscape of this highly unstable country. Prof. van der Voet gave an overview about primary and secondary sources of cobalt (i.e., recycling). After Patricia Alves Dias had shown probable future cobalt supply and demand in the transition to electric mobility, participants were asked to establish future demand and supply scenarios for cobalt in a given broader context like a political decision to a more rapid transition to renewable energy sources or a pandemic disease. After lunch break, Mrs. Lynne-Pettit introduced the environmental performance of refined cobalt and gave on overview of its applications across all industrial areas. In the last lecture, Dr. Dieuwertje Schrijvers stressed the need for certification of minerals, not least due to their often questionable origin, and showed at which point of the value chain certification is most sensible. Participants were then prepared to discuss the benefits and possible shortcomings of certification in this area.